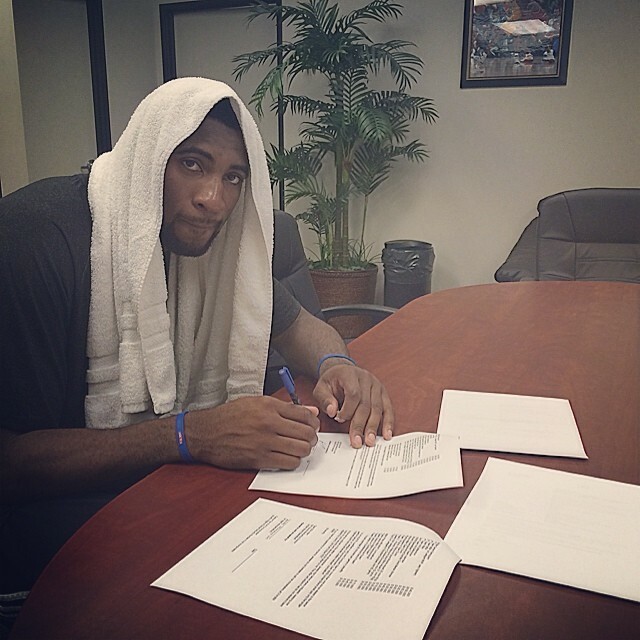 Earlier this week, Drummond shared the news on Instagram, along with a picture of him signing the new contract. Last year, Detroit Pistons big man Andre Drummond and adidas Basketball mutually decided to part ways. While no official statement was given, it probably had something to do with the fact that they couldn't keep Drummond out of Jordan retros off the court. It looks like that won't be a problem for Drummond moving forward, as he's apparently signed a deal with the Jordan Brand. Earlier this week, Drummond shared the news on Instagram, along with a picture of him signing the new contract. He spent most of last season playing in retros, but will probably asked to lace up newer performance models moving forward. Drummond is one of the most promising young bigs in the NBA today. Do you think he makes a good addition to Jordan Brand?